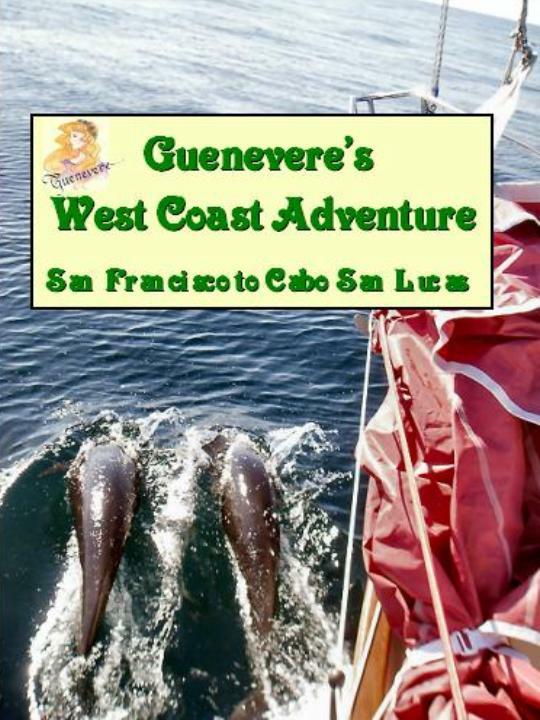 This video, Guenevere's West Coast Adventure, lets you share our travels as we venture from San Francisco California to Cabo San Lucas Mexico. Running time: Apx. 84 Min. We sailed in fair weather and foul, and motored along the Pacific coast of California and the west coast of Baja Mexico. Share with us a few of the very pleasant surprises we experienced in Mexico. San Francisco, Half Moon Bay, Santa Cruz, Montery, Morro Bay, Santa Barbra, Ventura, Channel Islands harbor, Dana Point, Oceanside, San Deigo, Ensenada Mexico, San Quentin, Isla San Geronimo, San Carlos, Cedros North, Cedros Village, Turtle Bay, Abreojos, Bahia San ta Maria, Mag Bay, and Cabo San Lucas. We are pleased to report that this video was reviewed by Good Old Boat magazine. Second, we are NOT expert cruisers and these are not "how to" cruising videos. They only show how and where we have chosen to cruise. By “multimedia” we mean they contain video, still photos, original sound, and at times a narration and/or sound track (music), that we have added to make it more interesting. We have taken every opportunity, and every resource available to us to make them as interesting and fact filled as we can.